I am always being asked the question 'does my harness fit my dog properly?' 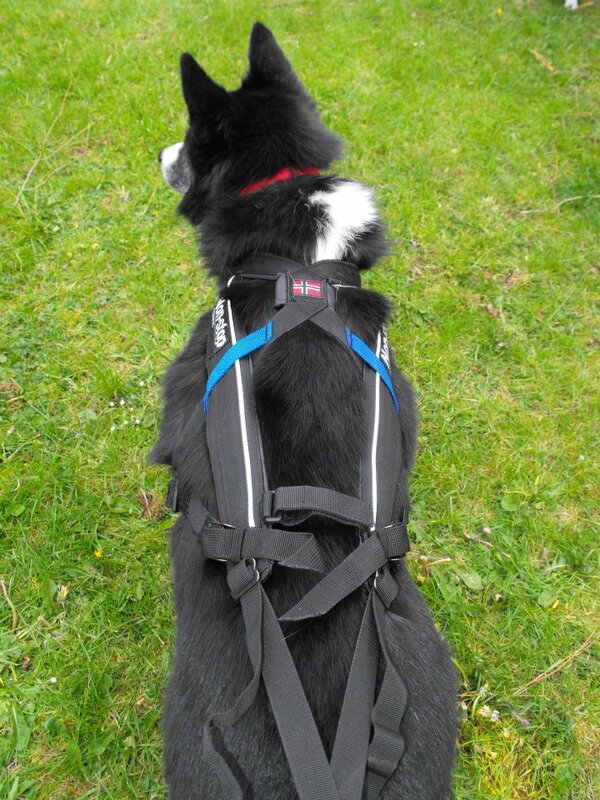 and although I think that as the person who sees your dog the most, you are the one who can tell the best if your dog appears comfortable and moving freely, there are a few things which are vital for a correctly fitting harness which I will briefly describe below. This is by far the most important place for the harness to fit because most of the pressure put on the harness (and your dog) will be directed from the front of the harness, around the neck and shoulder area. 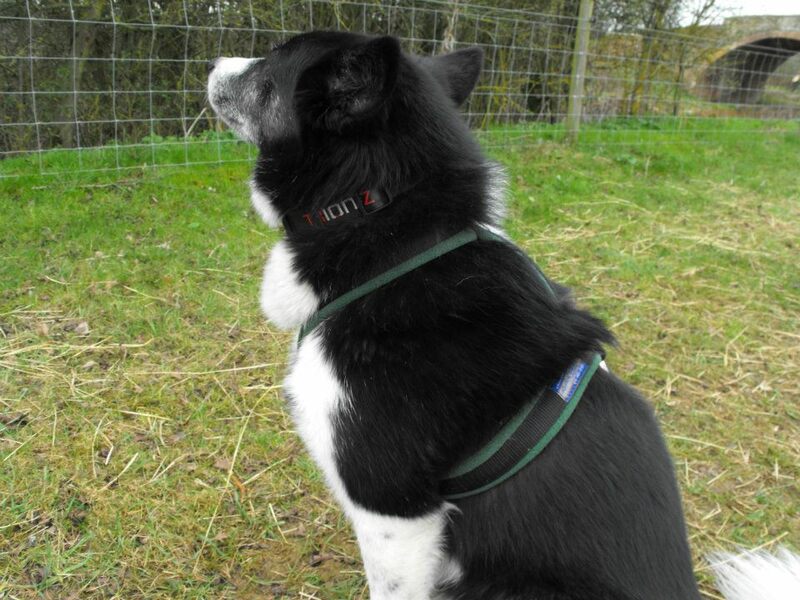 Many people feel that the fit around the neck on a correctly fitting harness is quite snug and worry it is too tight, but you wouldn't want the neck of the harness to slip up or down, as this could restrict either the dogs' breathing or shoulder movement, neither of which are very good for your dog. As a rule, if you can get the harness comfortably over your dogs' head and fit a few fingers under the material when it is pulled tight against the neck, then it should be fitting correctly. 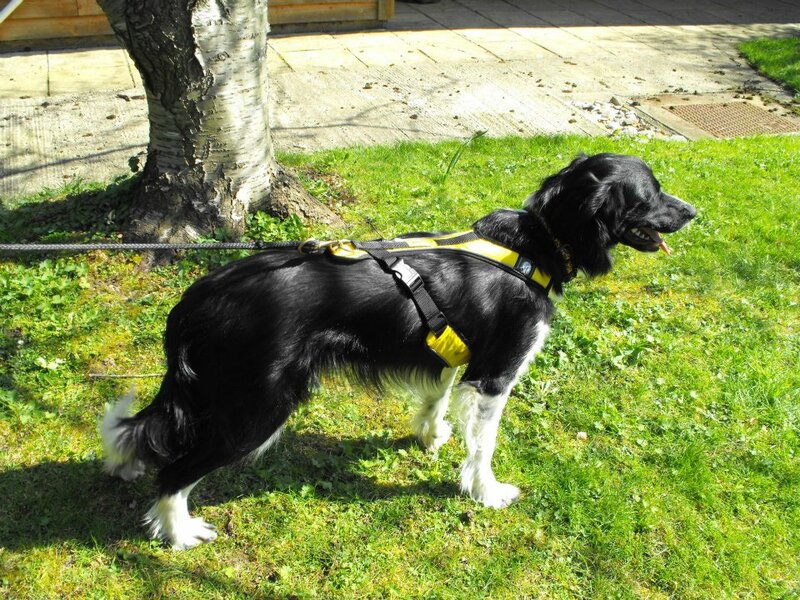 It is important the girth of the harness is not too tight on your dog and allows your dogs' ribs to expand when breathing heavily but it is also important the harness does not slide around too much, as this could cause muscular problems if your dogs tends to run one sided (much as we are right or left handed, dogs too can favour a particular side). The straps of the harness which sit around your dogs' ribs should clear your dogs' front legs to ensure the harness does not rub under the armpits and allow your dog to move freely. However, the harness straps should also not sit too far back on your dogs' ribs, as any inward pressure on the dogs' stomach and internal organs could cause harm. It is easier to adjust the straps on the shorter, shoulder harnesses and all harnesses K9 Trail Time sells, except the X-back and Zero DC Euro Long, are adjustable around the girth area. That's not to say these harnesses won't fit your dog, but the adjustable ones can be beneficial if you think your dog might 'bulk out' over time. Because every dog is an individual it is important to judge the harness on your own dogs' physiology, taking into consideration where your dogs' ribs end and ensuring the the straps of the harness do not put any inward pressure behind the rib cage. 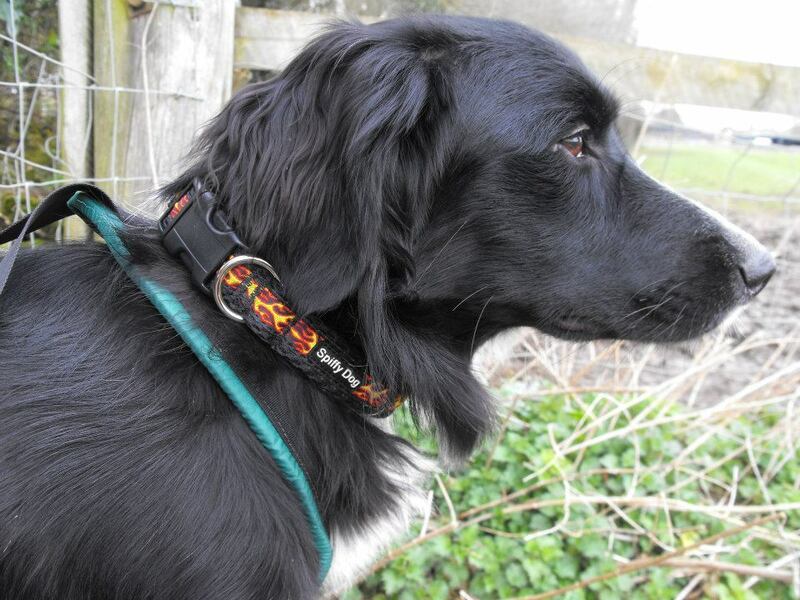 The length of the harness is probably less important than the other two elements but can still cause problems for your dog if not the correct length for the dog and suitable for the sport you are participating in. 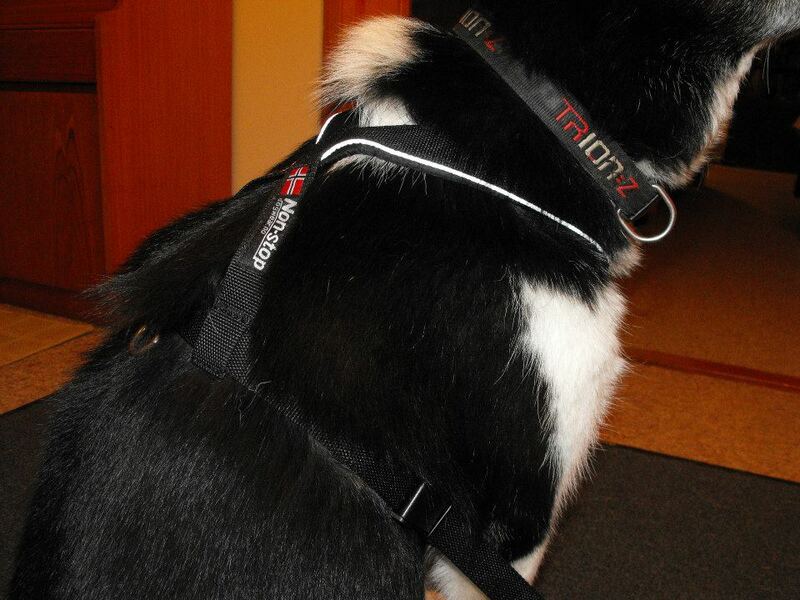 For example it is more common for dogs participating in dryland mushing to wear X-back harnesses or other longer length styles such as the Non-Stop Freemotion or Zero DC Euro Long harness. 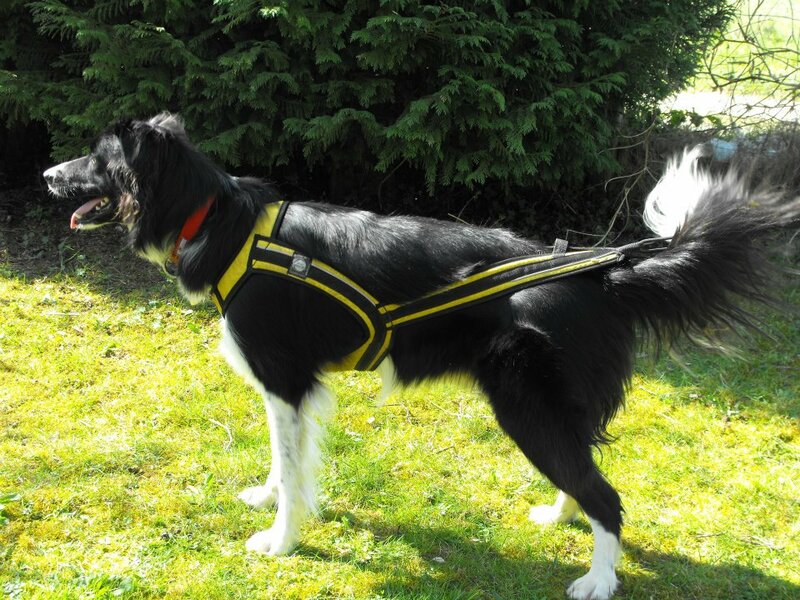 This is due to the angle at which the line attaches to the dogs' harness being low to the ground and although you do see some shoulder harnesses being worn, it is generally accepted that the longer style harness allows the dog to move more freely when the point of attachment is low. In the sports of canicross and bikejor you may more frequently see shoulder harnesses used because the line angle can be much steeper from a runner or a bike to a smaller dog and the X-back in particular was not designed to be be used with a steep upward line angle. This can be avoided by using a longer line to decrease the angle however, both the Zero DC Euro Long and Non-Stop Freemotion harnesses have been designed with a steeper line angle in mind and the 'pull' is directed from underneath the dog rather than just along the top of the harness. If you're in any doubt about which style of harness to use for the sports you are participating in we are always happy to offer advice based on our own experiences.